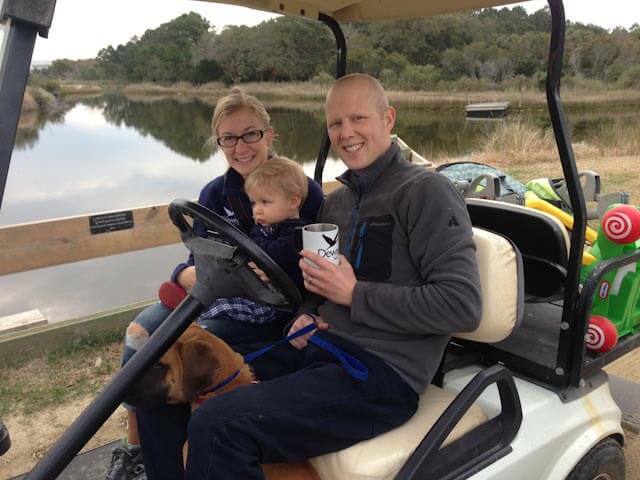 But he is also the first face of vacation for many people who are on Dewees as vacationing owners and renters. 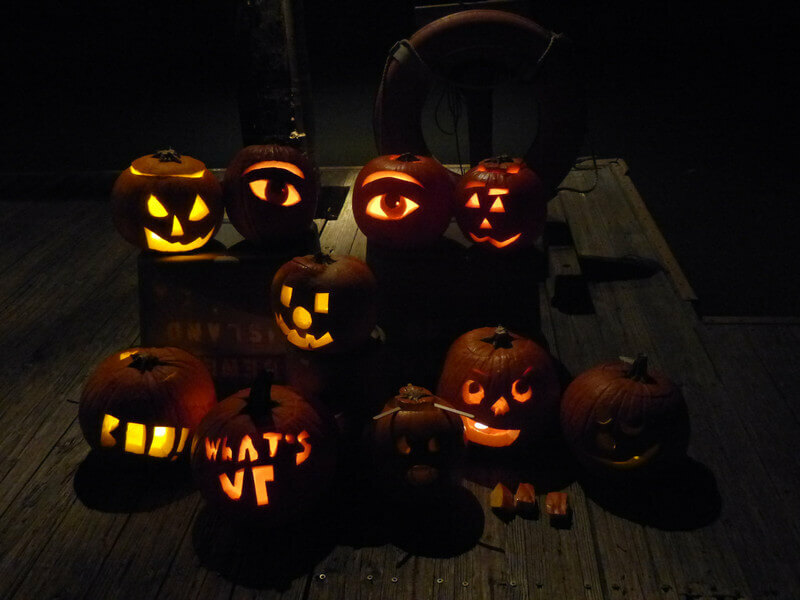 Last Friday was Halloween, and the kids of the island made sure we went down to the dock early– as Rick drove up to the island in the dark at 6:30, they wanted the pumpkins to be lit for him. Rick got off the ferry, carrying a cat cage with a wild, growling “animal” in it. As Declan peered in, the creature snarled and made noise. Rick laughed at Declan’s jump backward, and never did explain what eerie creature he’d brought along. His laugh, his warmth with the kids, his fondness for TC the cat and McNugget the chicken, his early morning practical jokes (does anyone remember the large “cockroach? 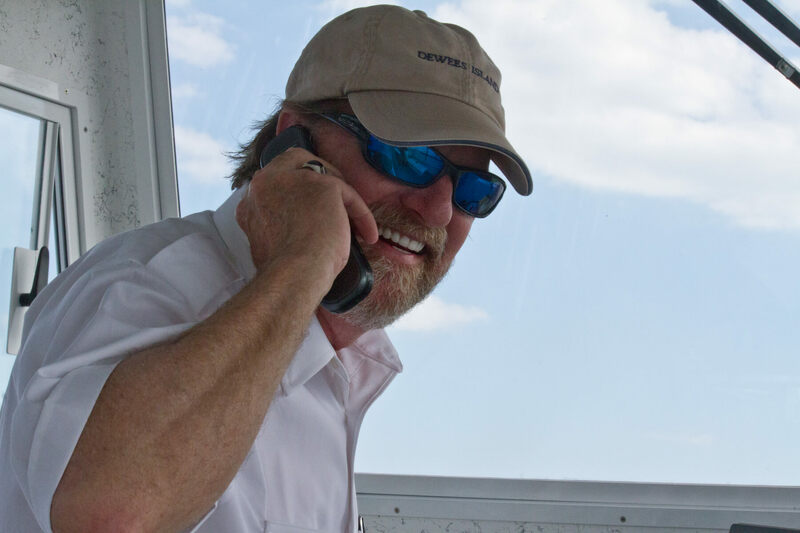 ), and his competency at the helm make the ferry ride what it is. We’d love to hear your stories of our longest serving captain! Yes, it’s fast approaching. Since Halloween falls on a Friday this year, we are expecting more out of town guests. If the big ferry is back, we’ll try to begin with the Great Pumpkin, Charlie Brown on the screen for the 5:00 boat to Dewees. Then we’ll gather at the Landings Building at 6:15 to board the people mover and head out for some treats. BYO snacks and libations. 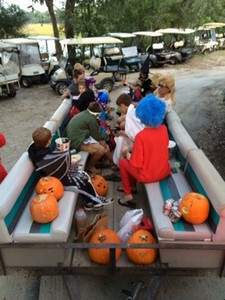 6:15 gather at Landings in costume: board ppl mover for the Haunted Hayride. 6:15 till… Trick-or Treating (PLEASE tell Judy if you want to be on the route for this– we’d hate to miss your house (or show up and have it be awkward if you weren’t expecting us.) If you want to hop aboard the people mover and move on with the crowd to the next house, you’re welcome to! Click here to revisit more of last year’s halloween photos. 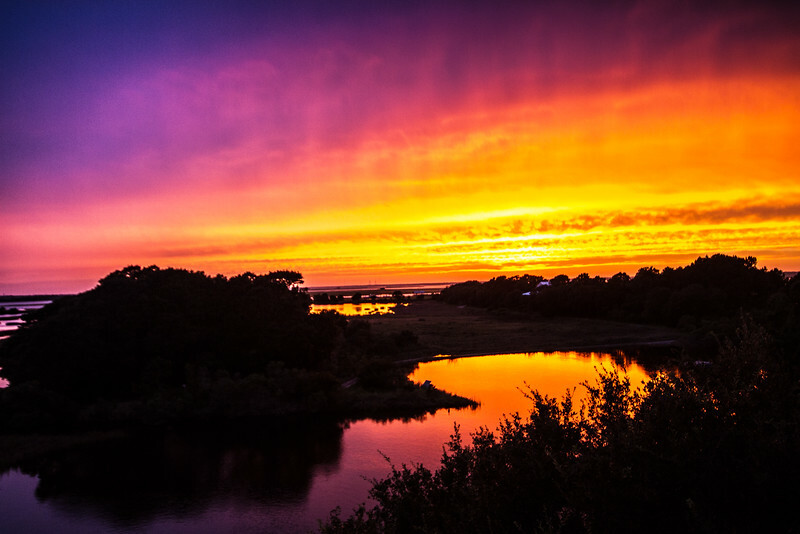 On Dewees, where there is little light pollution, there is often an incredible celestial view. But astronomical events are hard to plan for. Meteor showers, eclipses, etc. can all be incredible, but often the clouds get in the way, or the visibility is poor for some other reason. This week, however, was perfect. 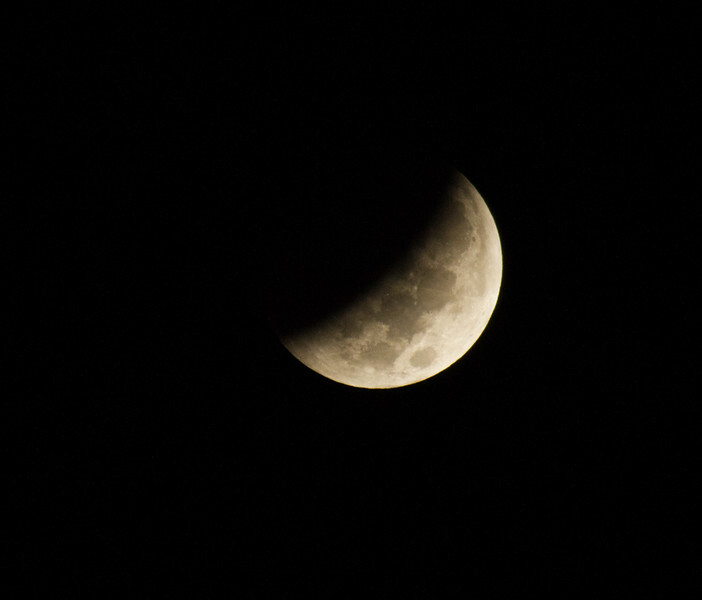 A lunar eclipse was predicted from 4:17 am. to 7:30, with the most change observable between 5:45 and 6:30. This, happily, is when we get up to get ready for the school ferry, so we were all able to catch glimpses of it. 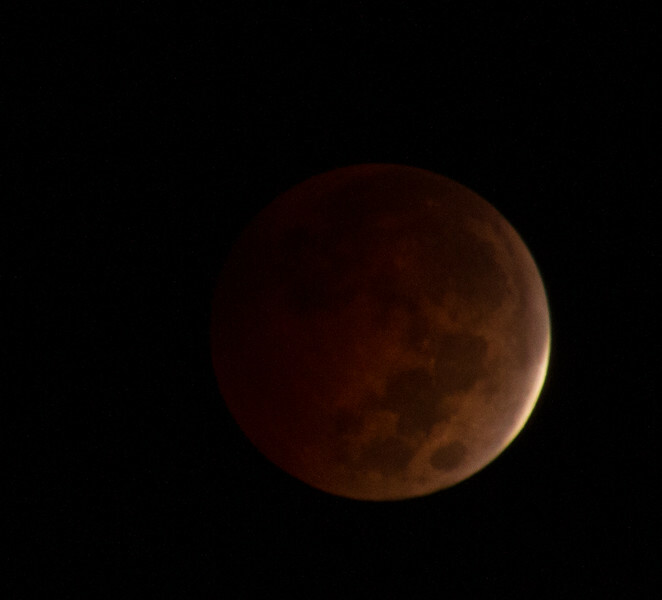 I did get up at about 5:00, and set the camera on a tripod so I could watch. 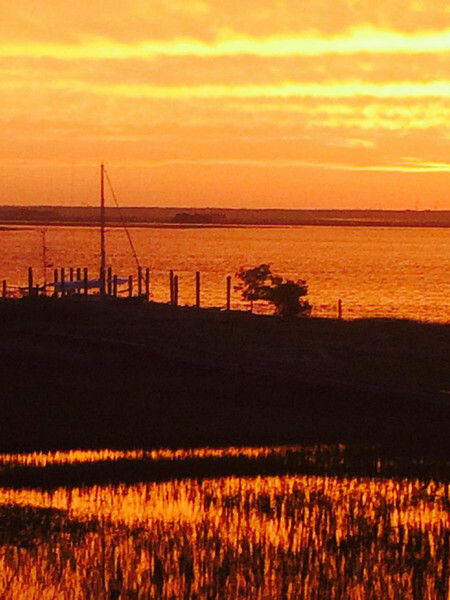 The temperature was perfect, the night sky alight with stars, punctuated by the regular rhythm of the Sullivan’s island lighthouse sending its double beamed signal out across the water. A pair of raccoons crept stealthily up and down the branches of the live oak off the porch, occasionally chirping to one another. Great Horned Owls hooted off in the distance. There was even a slight breeze: enough to keep the mosquitos and no-see-ems out of our faces. 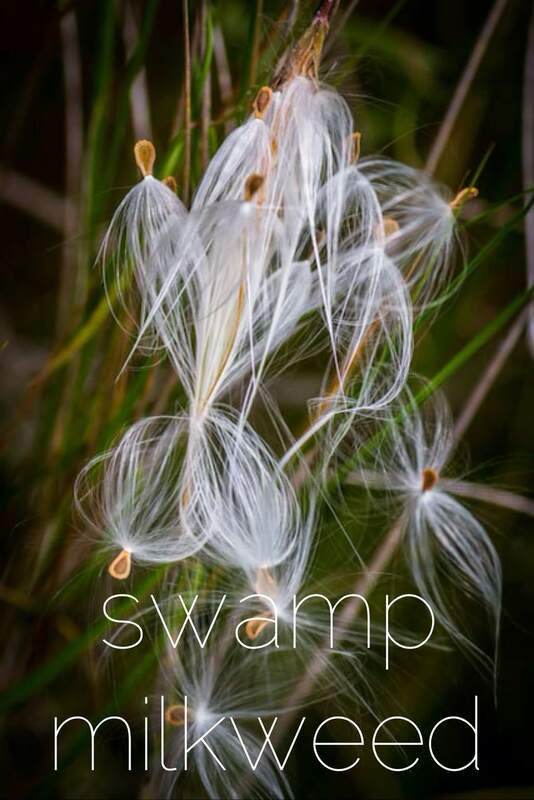 An occasional splash could be heard in the marsh: fish jumping or tailing after bait; alligators slipping into the water. 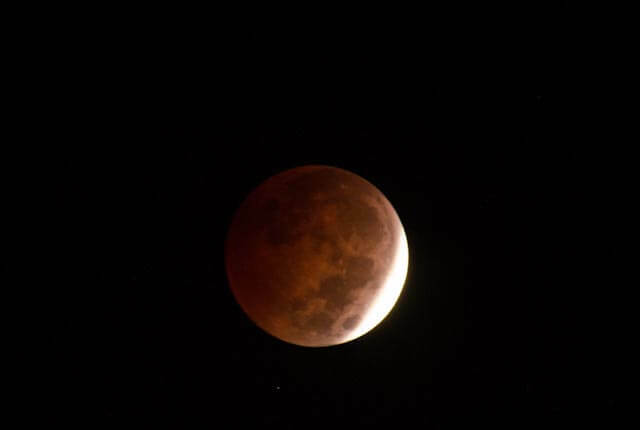 And the moon, slipping into darker and darker shades of red, greeting the school kids as they boarded the ferry. 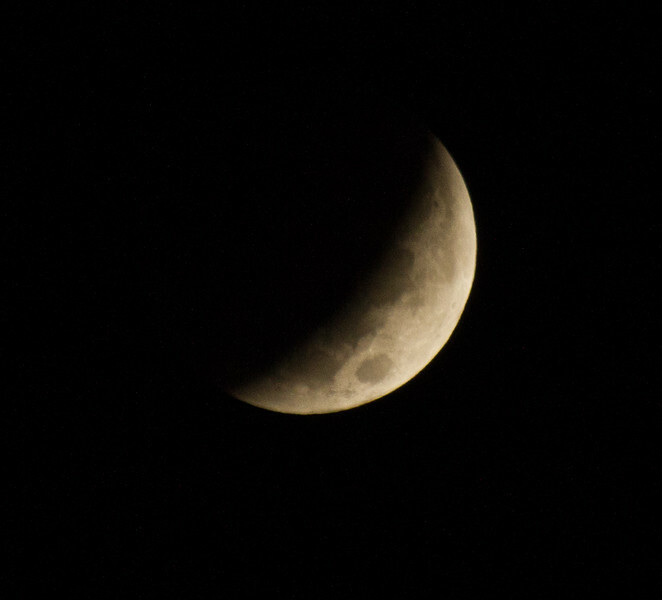 At Space.com, there is an explanation of how this eclipse fits in with a series of lunar eclipses over the next year. 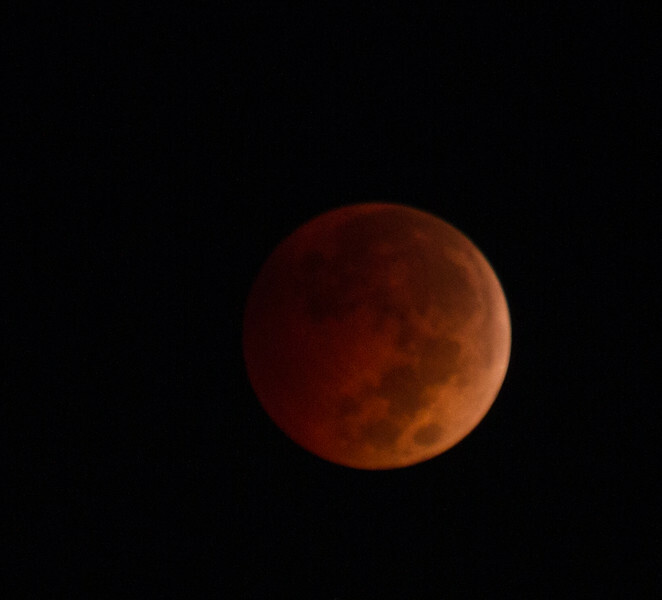 This total eclipse is part of a so-called tetrad of lunar eclipses set to take place from 2014 to 2015. The first total eclipse in the tetrad took place in April 2014, and the next eclipse will occur in April 2015 with the last in the tetrad set for Sept. 2015. 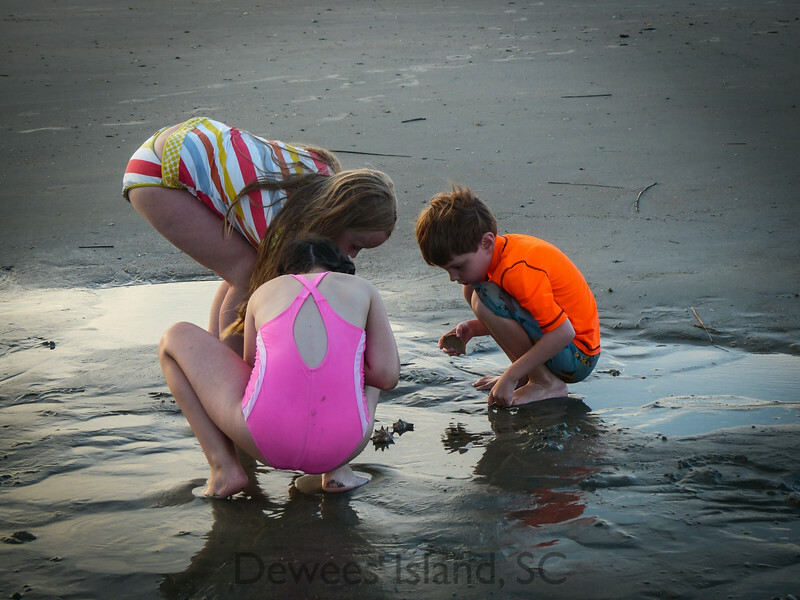 Want to plan your Dewees experience around an eclipse? Check this schedule. 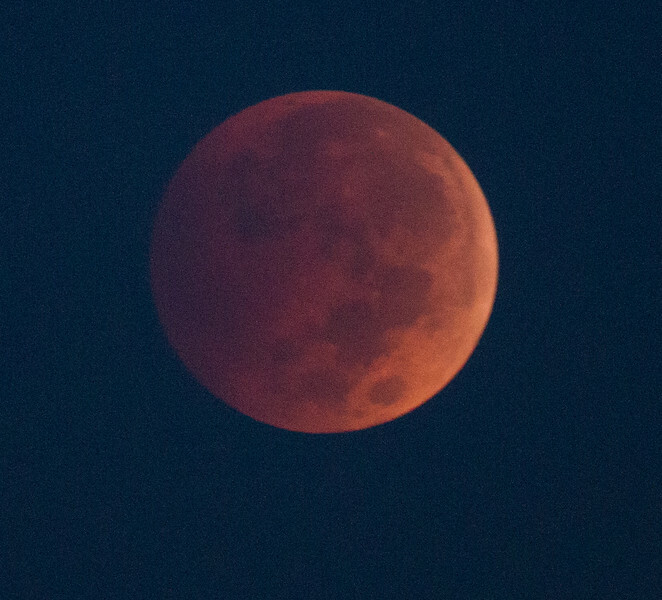 Click here to see NASA’s chronicle of lunar eclipses throughout history. 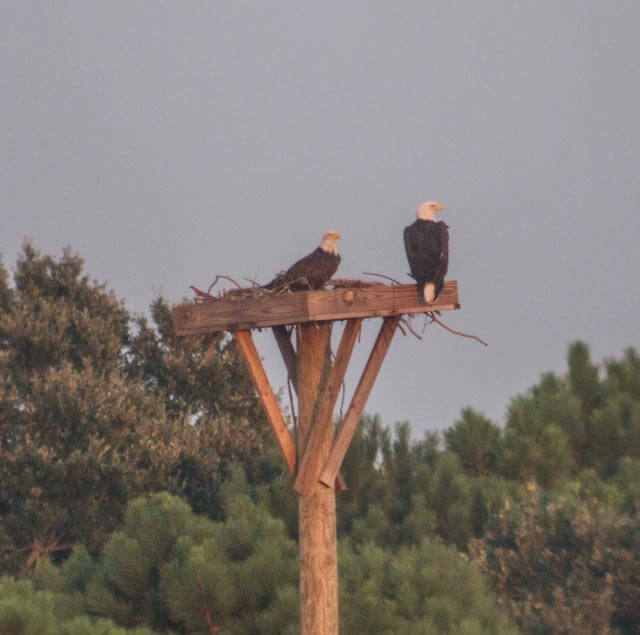 For the fourth year in a row, a pair of bald eagles seems to be using the platform as a home base in the evenings, bringing sticks to the top level and rearranging them. It’s our hope that they will again raise chicks there. After last year’s issue with the female getting entangled in some garbage, and the untimely death of a fledgling at the hands of an alligator, we were a little concerned about them returning. 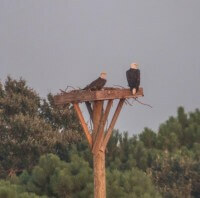 The pair was spotted in the area during the first week of September, and are usually back to the platform by sundown. 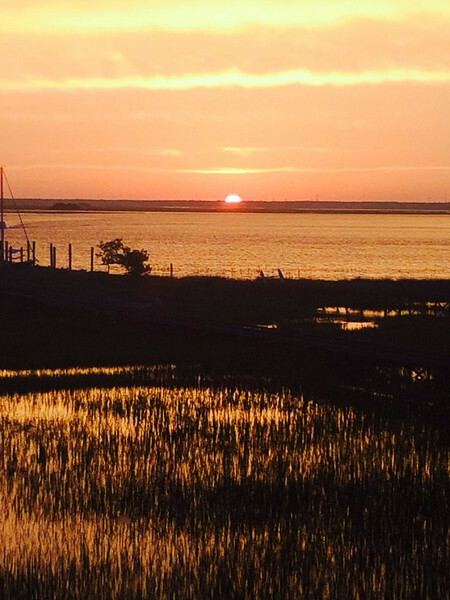 Sunset on the island is generally really spectacular, so sunsets don’t often make our daily conversations. 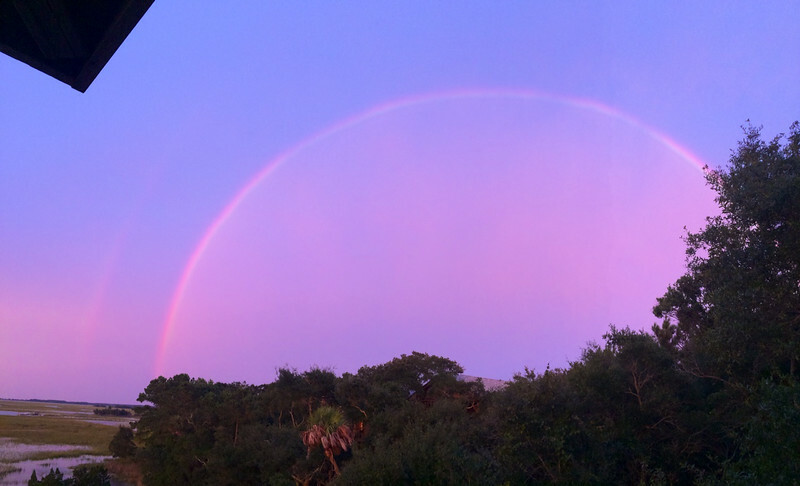 Rainbows, too, are relatively frequent (I’ve seen three or four this month.) But yesterday was the kind of shared experience with neighbors that makes you value not just the beauty around us, but the people we share it with on a daily basis. Liz and I ventured out for a bike ride yesterday evening, and even though it hadn’t rained in 12 hours, there were still deep puddles in the roads, and a gray, gloomy sky. By the time we finished, we were muddy and grubby. 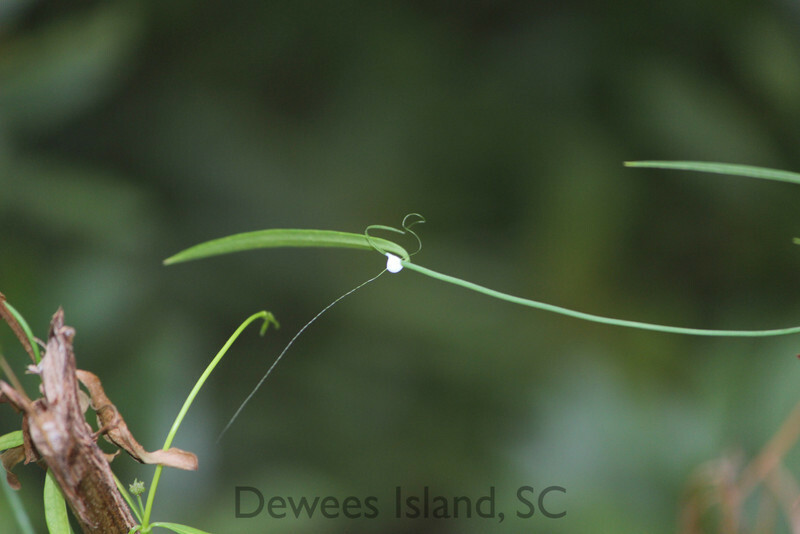 Dewees Island has seen its share of rain this month: over 12 inches of rain so far in September, and a chance of more every day in the forecast. Our average monthly rainfall for September is half that amount, so the water table is high and there is a lot of standing water around. 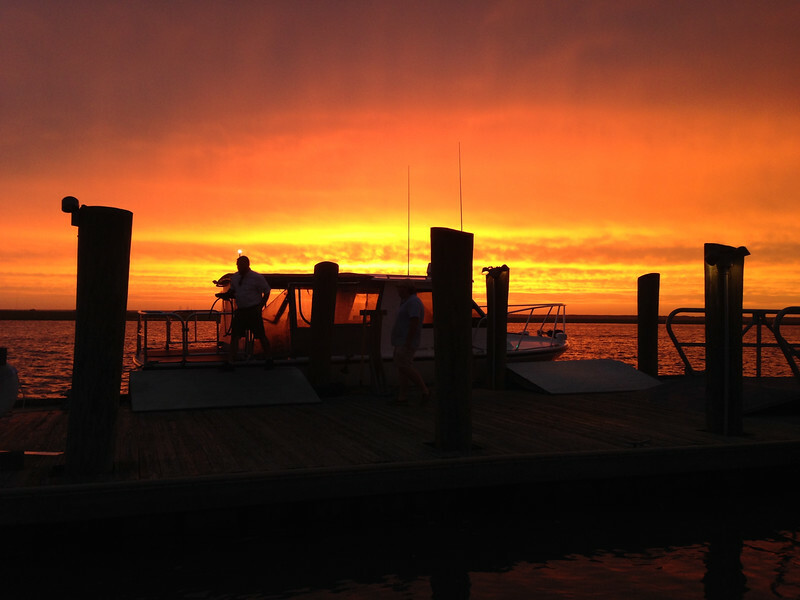 Which is probably why the sunset was so remarkable. After being invisible most of the day, the sun managed to break through the clouds right as it neared the horizon at sunset. It was glorious. 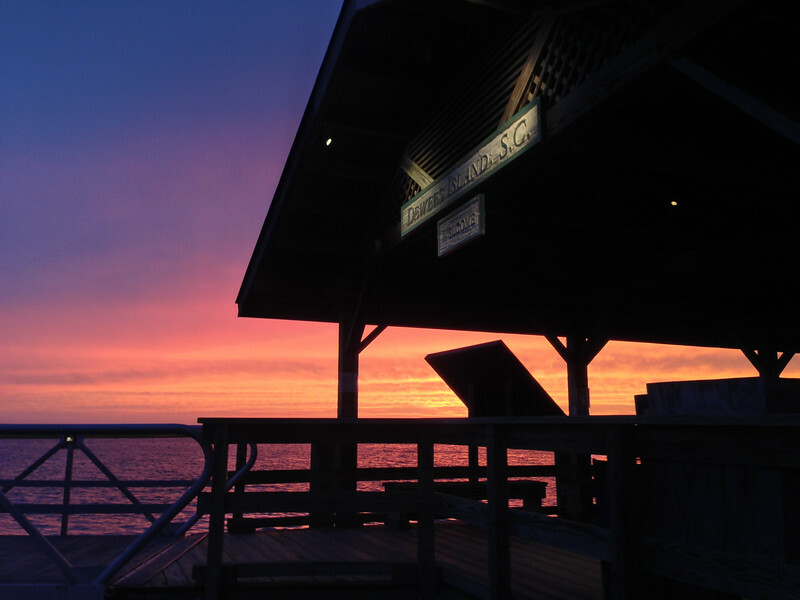 My phone rang twice as neighbors called to tell me to go outside, and folks were calling to each other from decks where everyone was transfixed, for a while, by the sunset splendor around us. 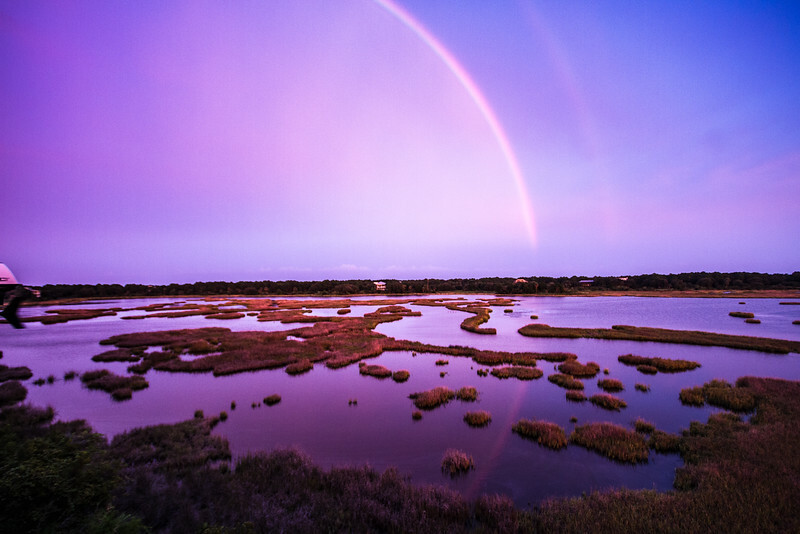 The setting sun also cast a huge double rainbow over toward the ocean, which was reflected in the impoundment. It was hard to know where to look. 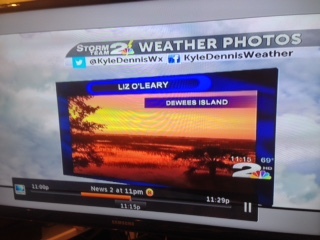 We even sent some of these photos to our favorite News 2 weather people, and two of them were picked up on the evening news and retweeted out! If you were on the island and taking photos last night, please share: we’d love to post some more! 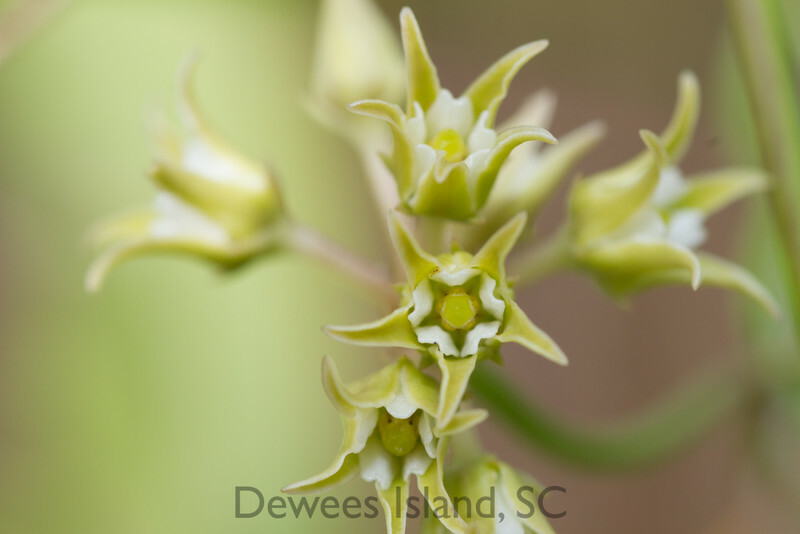 Our native swallow-wort, Cynanchum angustifolium is the gulf coast swallow-wort. 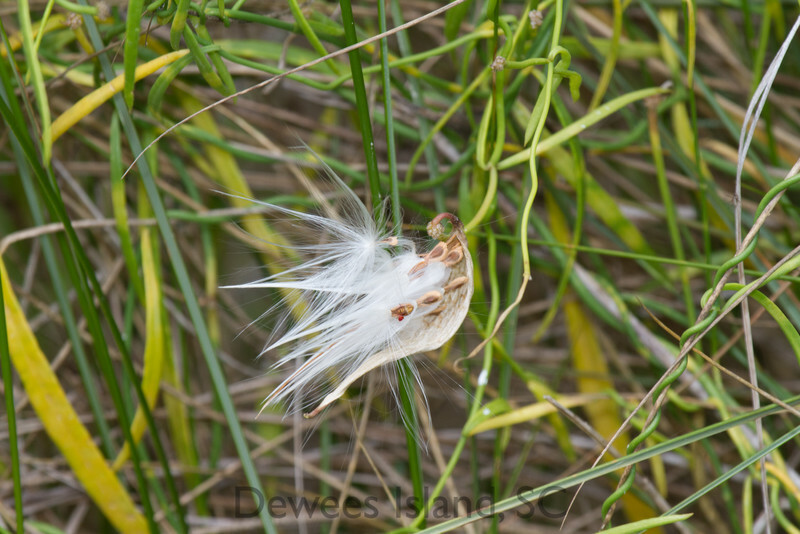 It is a member of the asclepias, or milkweed family, and you can tell it’s a milkweed from the milky sap on the stems. 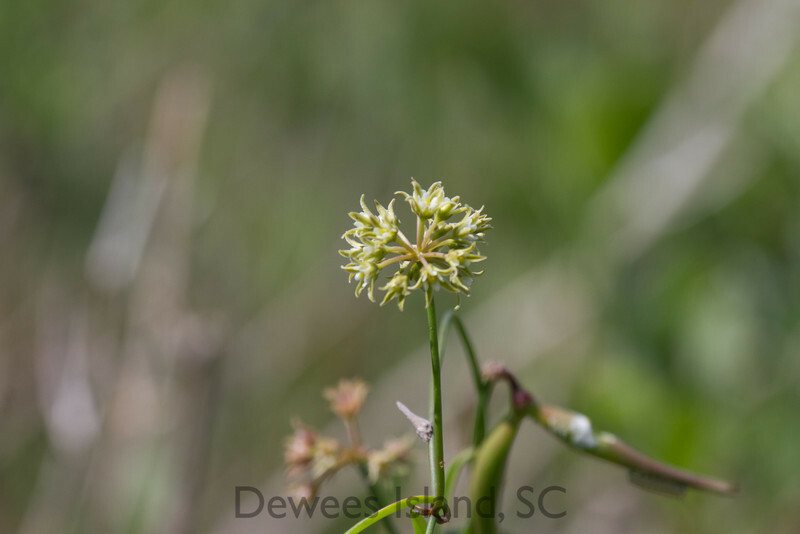 On Dewees Island, the vine can be found along the edges of the impoundment on Dewees Inlet drive and Lake Timicau drive, as well as the pathway along Huyler House walk. 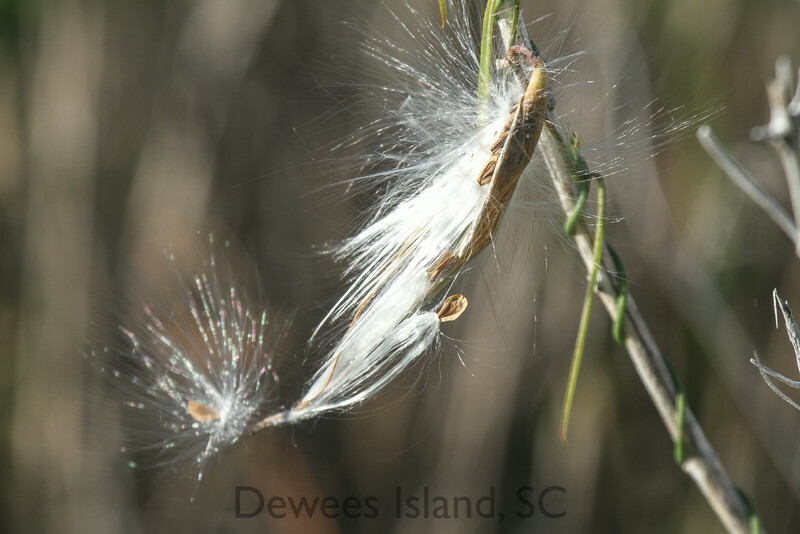 This is one of the only host plants for monarchs that is native to the island. 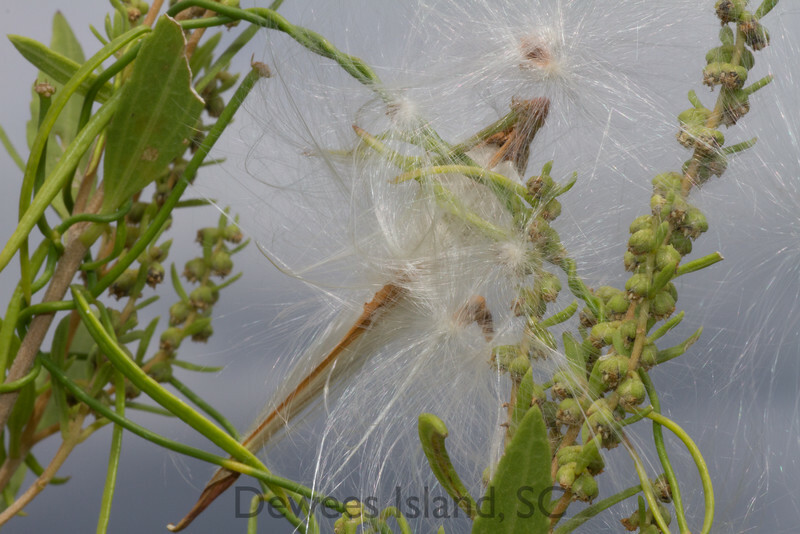 It is also known as climbing or vine milkweed. 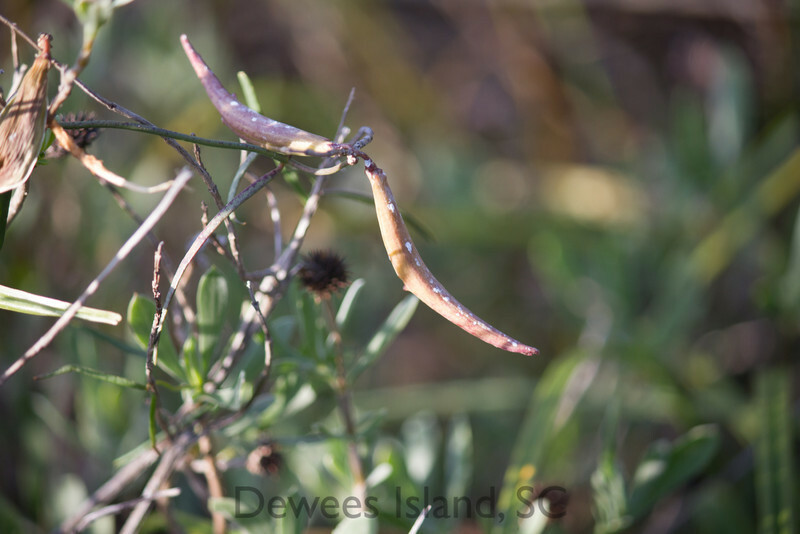 At this time of year, the flowers are blooming, but mature seed pods are also casting their tiny seeds out along the breezes. I am hoping to collect and propagate some seeds from this vine: I’d love to see more monarchs on the island! We got a call in April from a television show called “Buying the Beach.” It’s produced by Paper Route Productions based in New York. (Some of their other shows include Yukon Men, Buying Alaska, Buying the Bayou & Buying Hawaii.) 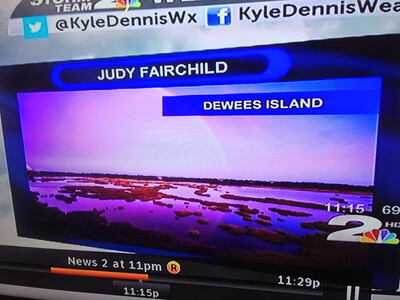 One of their people had come across a Dewees Video, and wanted to feature a listing on the island as part of their show, where one couple looks at three properties before deciding to buy one. After some back and forth conversations with several owners whose homes were on the market, the best match for the show’s needs was Lorna and Ben Timmons’ house at Lot 131. 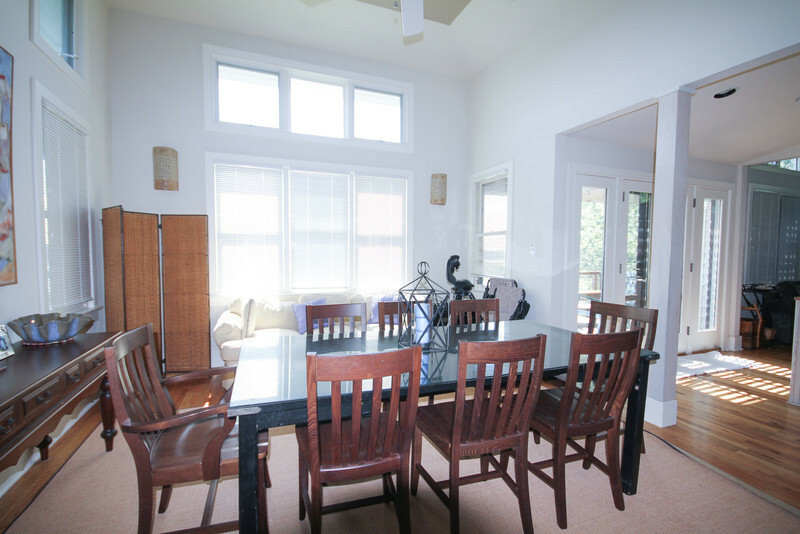 I declined an offer to be the “on camera” realtor, but was very involved in making the logistics work for the camera crew and cast, and staging the home to present the best impression possible. 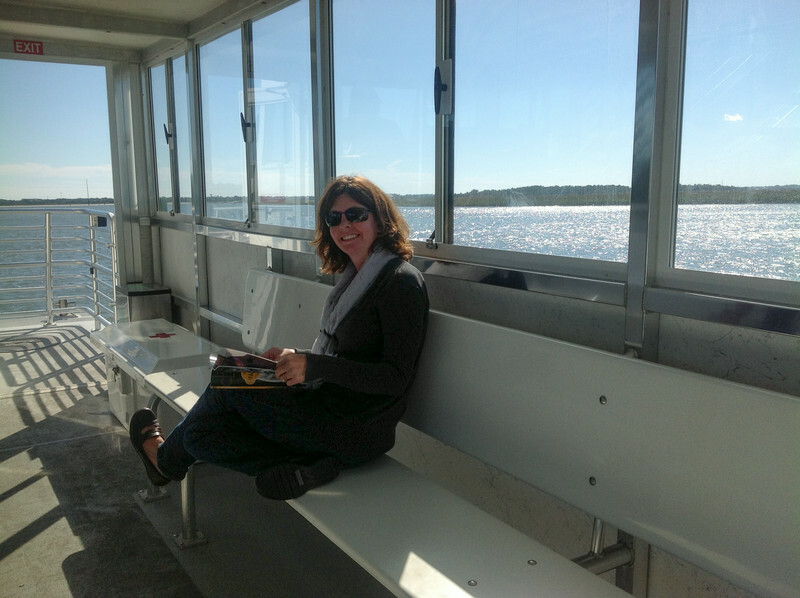 I hopped on the 7:30 ferry on May 27, to meet the crew. 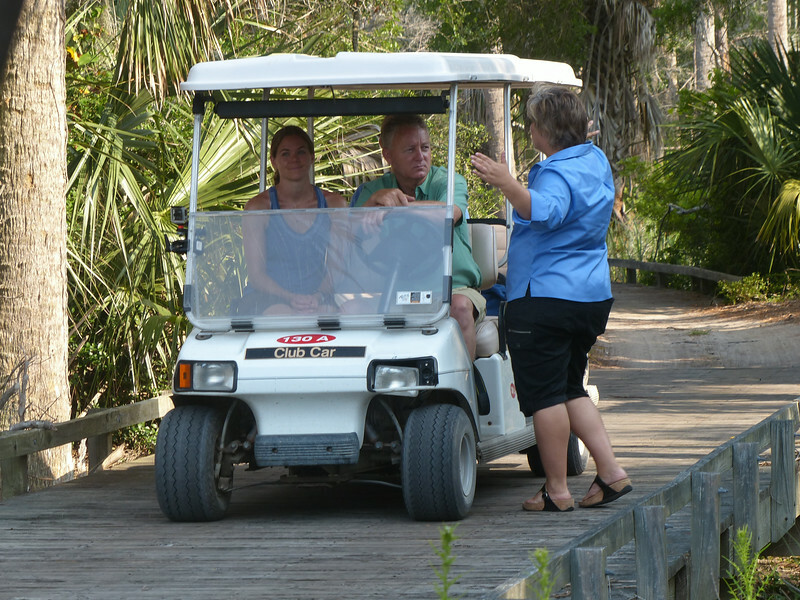 I was able to explain all of the great things about living on Dewees to the “on-camera” realtor, who generally sells real estate in the Hilton Head area. 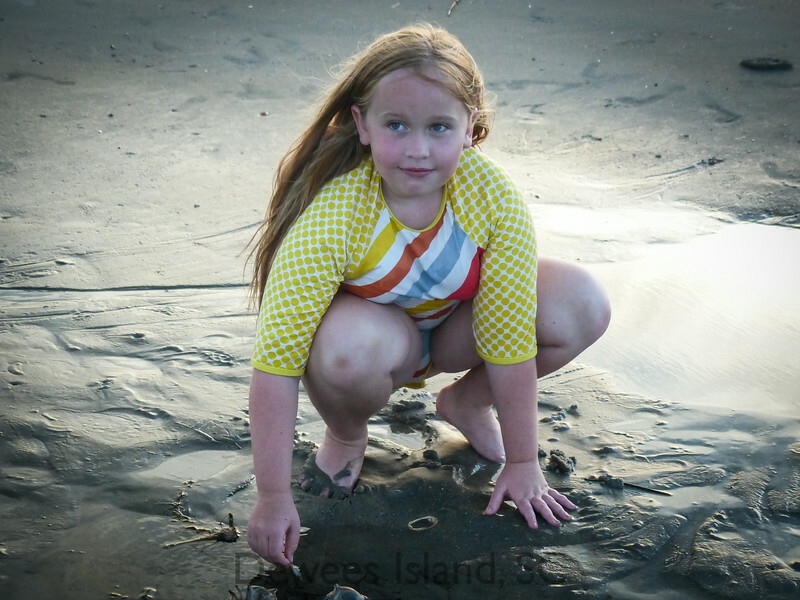 First, we looked at the wide open beach and beautifully maintained roads on the island. 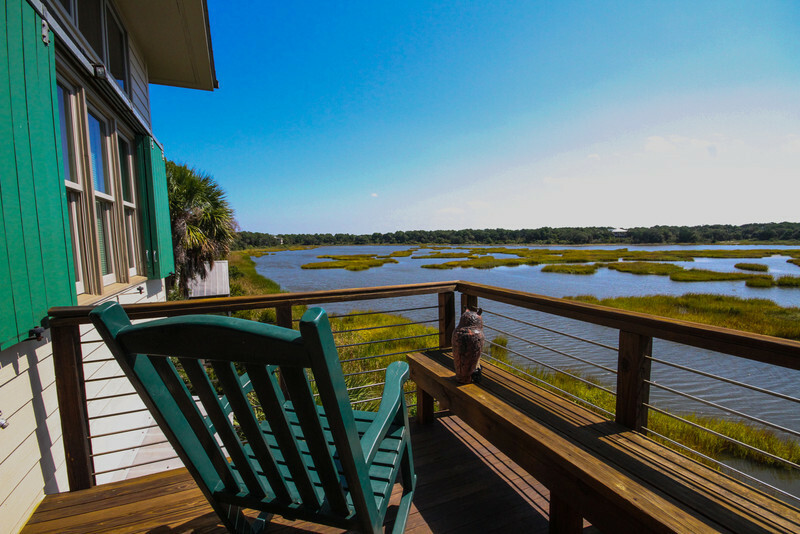 and have the buyers experience the “discovery” of the amazing views from the back deck. 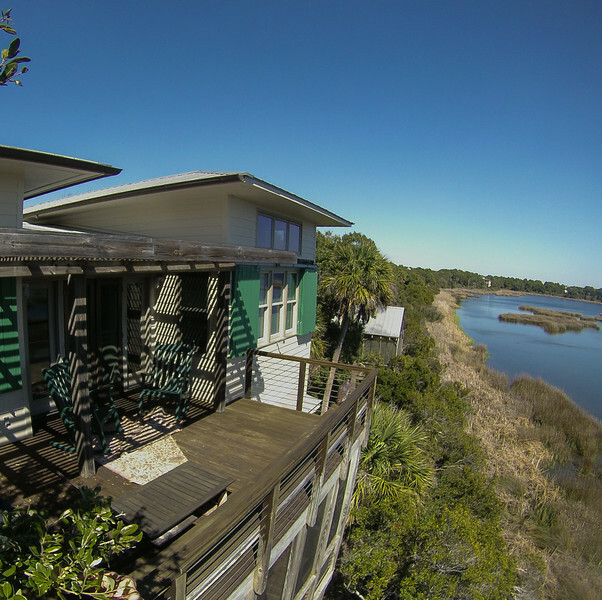 On the show, the couple is choosing between a private island behind Folly Beach with a sort of treehouse, a private island with several rustic buildings near Hilton Head, and the more upscale listing on Dewees Island. 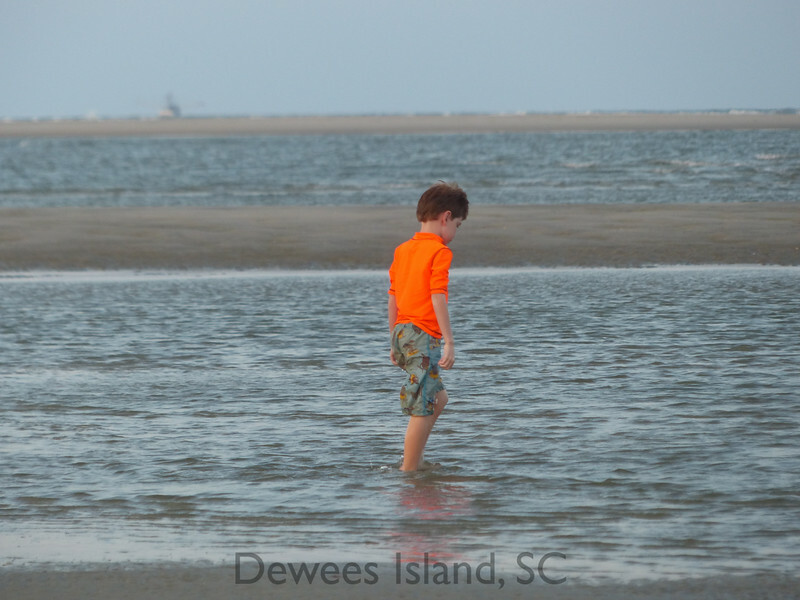 Even though the Dewees home is outfitted well, the husband wants his own island for his family. The Dewees home is listed for $900K, while the others are between 1.2 and 1.4 million. It’s an interesting choice– they have to decide between their wish for ultimate privacy and the advantages of having a community to share amenities with, between shared conveniences and true independence. 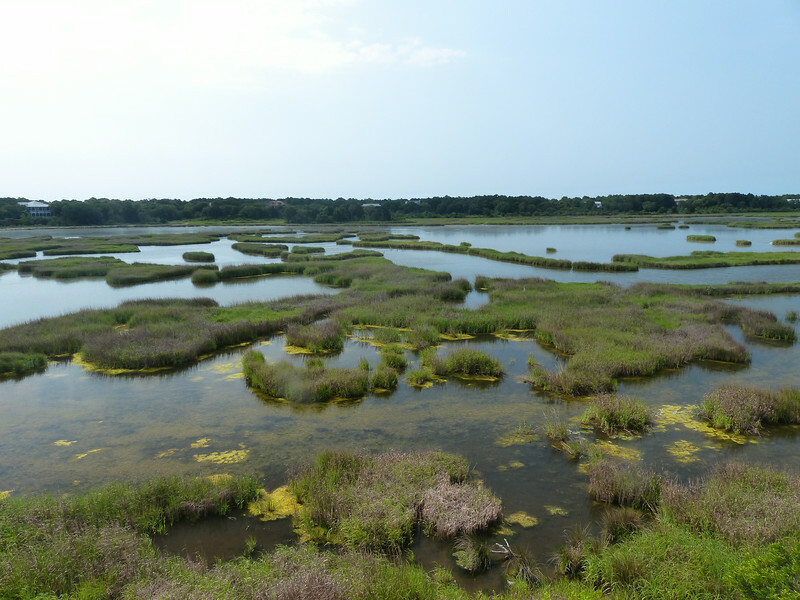 One correction we would add is that we don’t use water from the IOP: we pump and treat our water (and wastewater) right here! And although the camera crew spent 11 hours filming here, they were limited to 10 minutes of final footage, so they couldn’t show our clubhouse with the tennis courts and swimming pool, our nature center, and our fire station. 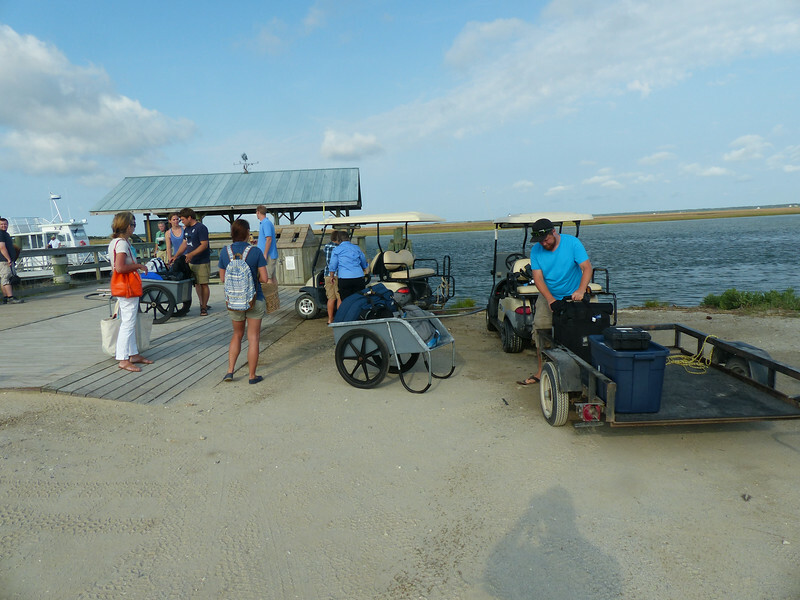 We were glad they noticed the sense of community– that can be hard to demonstrate in a quick visit to the island. It was clear though, that we support each other– besides the interns, neighbors Janet, Liz, and Anne all helped throughout the day. 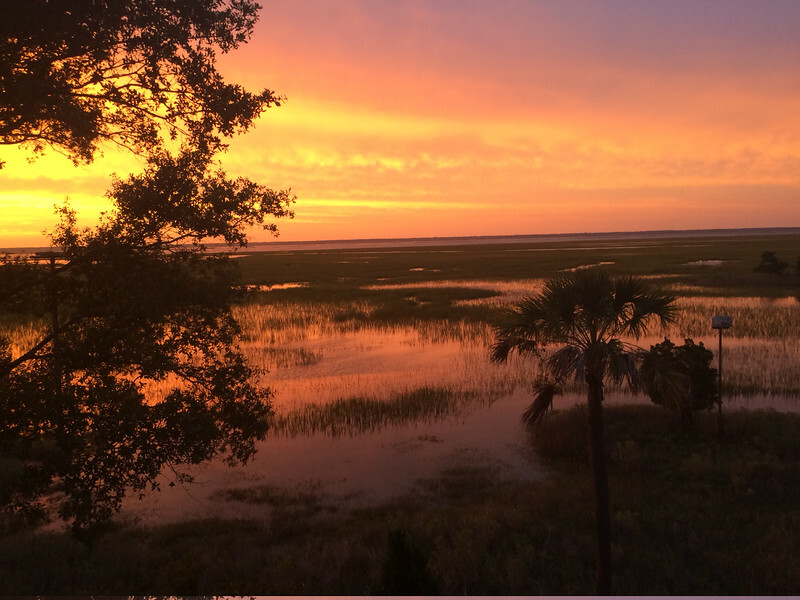 This isn’t the first time for a Dewees Island residence to be featured on a home show: the McDevitt’s residence was featured on HGTV’s Extreme Homes show. While that episode was on the web for a while, it seems to have disappeared from view. It brought us one of our current residents, though. 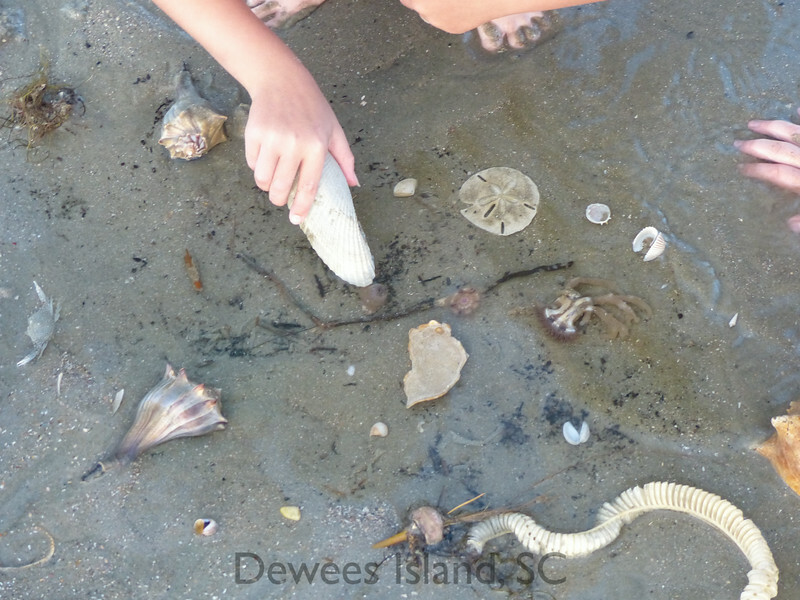 Liz O’Leary was watching it at home in DC six or seven years ago, and decided that Dewees Island was somewhere she wanted to check it out. 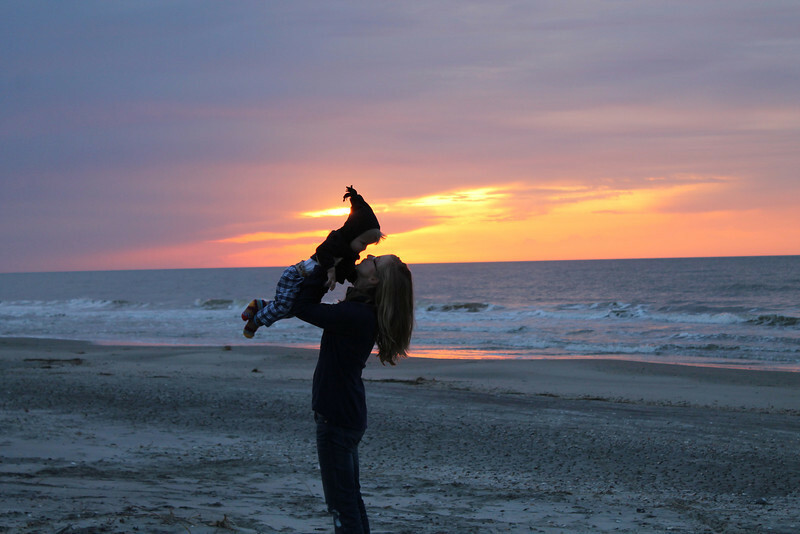 She looked to see if there were vacation homes to rent, and after renting on the island for years, she and her family made it their permanent residence last August. Maybe there are future neighbors out there watching the show! The next episode of Buying the Beach should be our episode. It’s called (oddly) “Appalachian Islands,” and it is currently scheduled for Monday, September 1st at 3:00 pm. In our area, Destination America is channel 286. This link will take you to the show’s schedule page, which is subject to change without notice. For more information on the house for sale, click here. 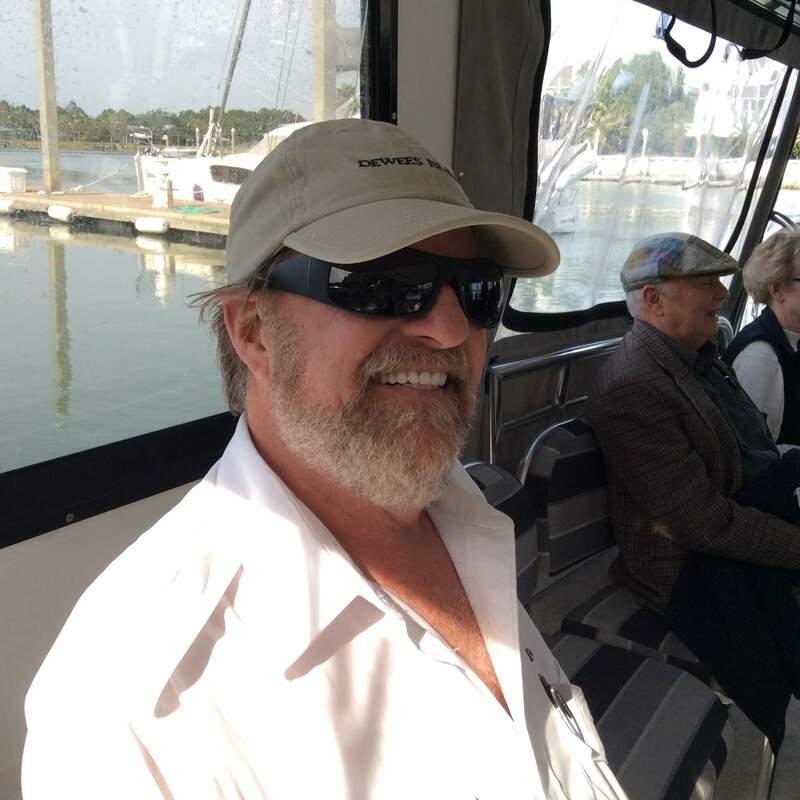 Dewees Resident Jeff Deal is a man of many talents: he was a surgeon until he lost the sight in one eye, when he switched his specialization to tropical disease. A few years ago, Jeff gave a presentation at the Environmental Program board of the island demonstrating his invention for capturing mosquitoes. 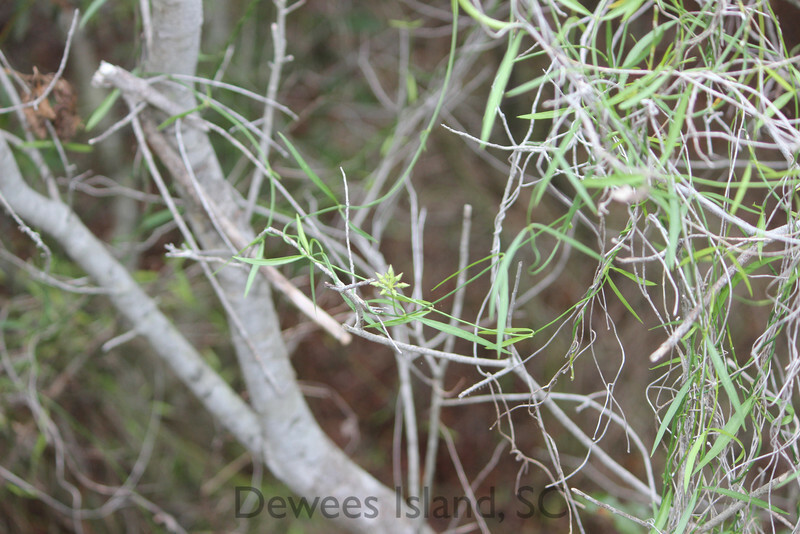 He was the first to introduce bee-keeping to the island. His books have been featured at book club. Now, a robot that he invented with his brother is capable of sanitizing an entire room, and Jeff is headed to Liberia to help fight the Ebola epidemic. This terrific article in yesterday’s Post and Courier explains his robot and his mission to help. Emily Watson is very excited to be taking the helm, which is a natural outgrowth of her ascending leadership over the last few years. 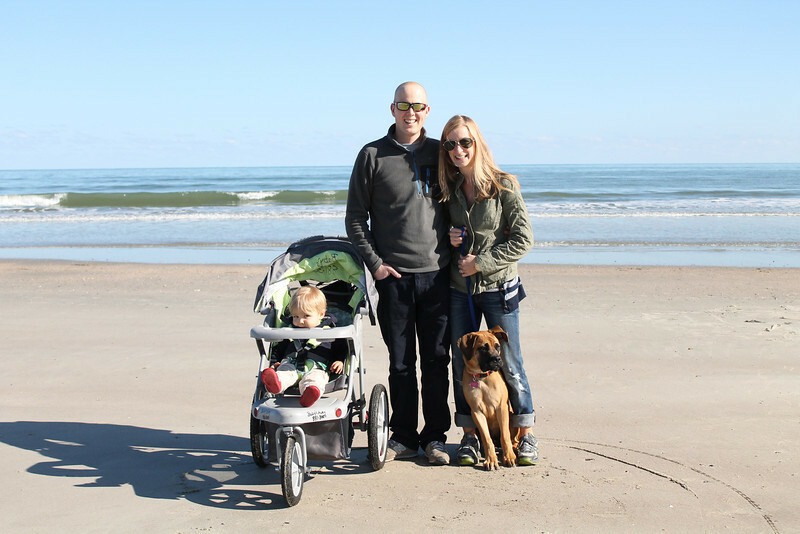 She will be joined by her husband Stew, a talented contractor; they will also work within a partnership with Dunes Properties, which will allow them to raise the profile of Dewees within the greater Charleston Area beach vacation rental community. 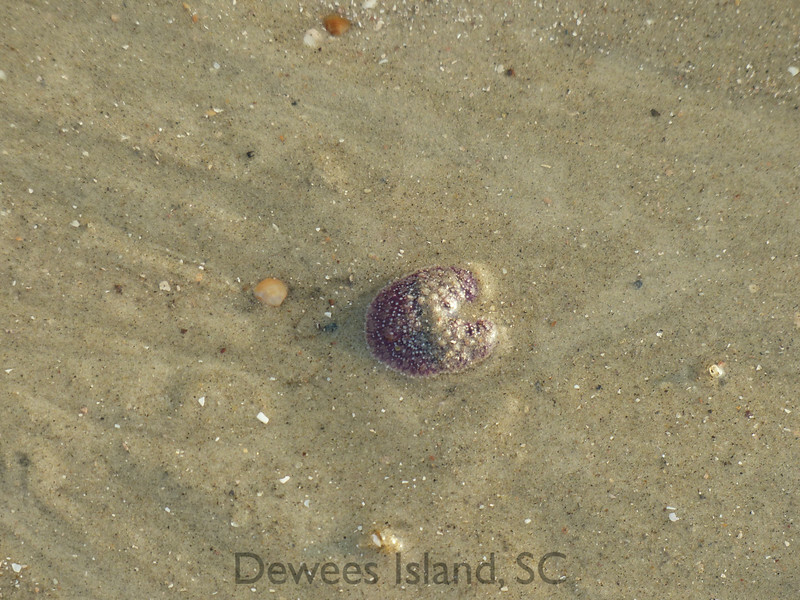 “I love Dewees, and I’ll continue to focus on the island and its unique benefits. I am really looking forward to working with owners and renters.” Emily will continue to be the point person for lot owners using their free nights at Huyler House. Dewees rentals has a new look, and the official company title is Watson Property Management. Judy will still help with orientation materials and information on a consulting basis. For FY 2014, Dewees Rentals has so far provided a value of $59,147.09 in gross rentals to the Property Owner’s Association for the Huyler House suites and Marshview Cottage, as well as $20,251 in ferry revenues through July. 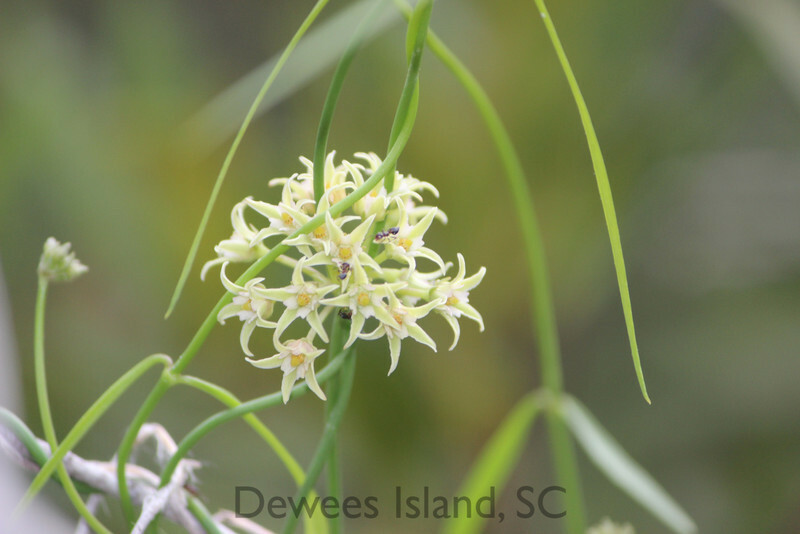 Anyone, including Dewees owners, wishing to make a reservation for Huyler House should call Emily at 843-906-0410. Because of the current erosion/accretion cycle, there are some great “runnels” along the beach, especially near Osprey Walk. 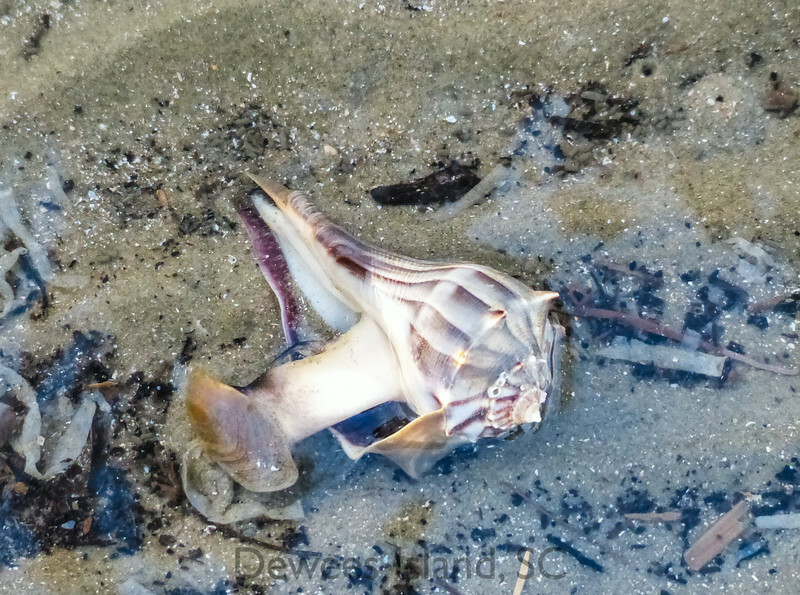 We gathered some friends one evening last week and went to explore tidepools on the beach. 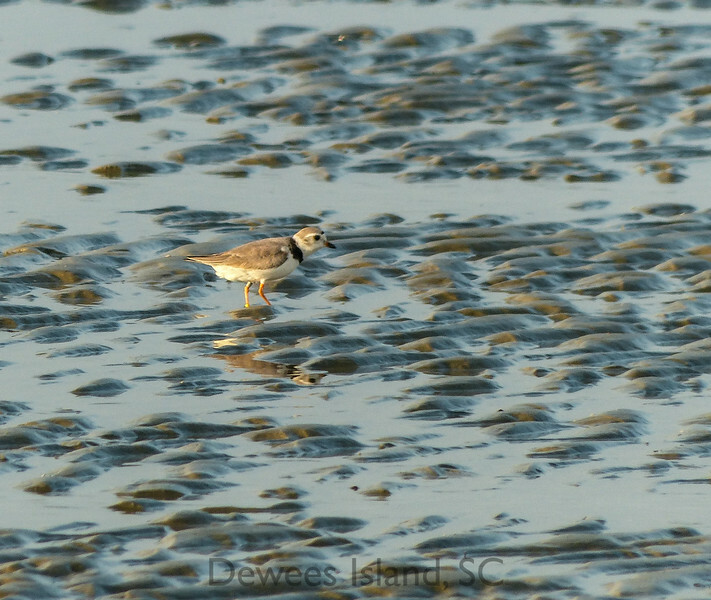 You want to check for a very low tide, and it’s a bonus if that comes at the end of the day. 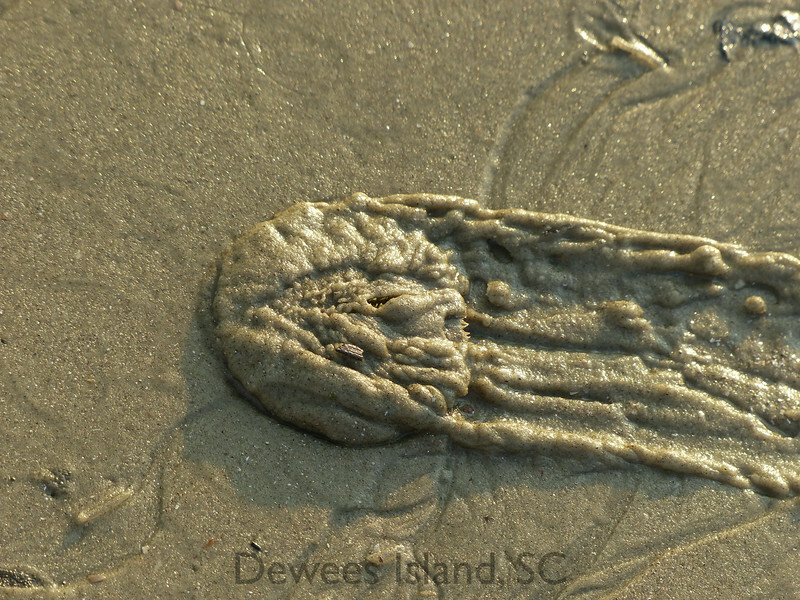 We like it when it’s low tide in the evening– take a sandwich and beverage and explore without worrying about sunburn. Look for tracks through the sand. You might see some interesting living creatures. 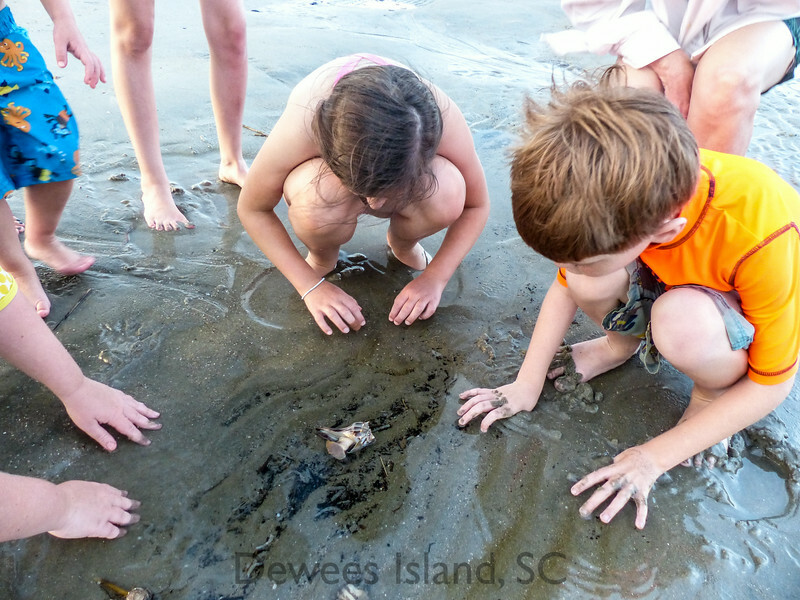 at the end, we take a look at all of our “finds,” and identify them, being careful not to touch them with sunscreen or bug repellent on our hands. 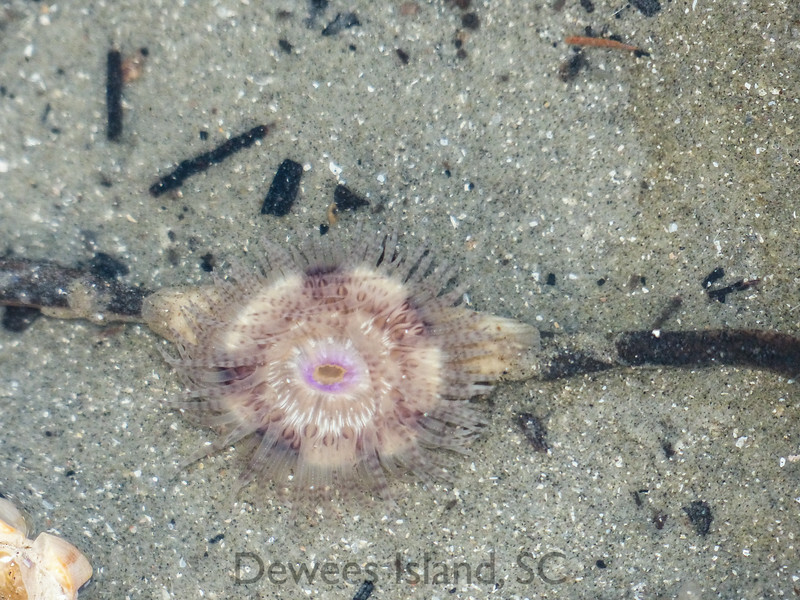 It’s an amazing look at the hidden life flow of the intertidal zone, with the daily battles for life, food, and procreation. 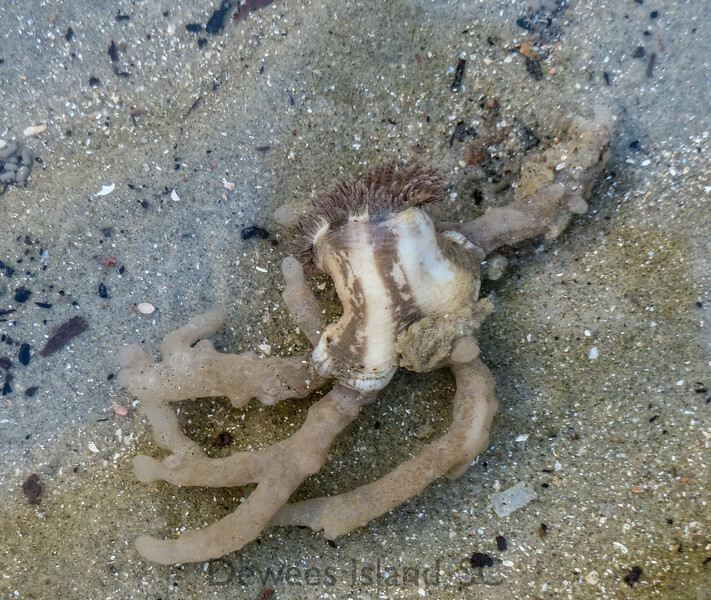 We return everything that’s alive to deeper tidepools on the incoming tide, and head home for the evening.